The USB connection has been recently revised once more, but this time it is about increased bandwidth. This standard emerges in the form of the USB 3.2 which allows for bandwidths of at least 15Gb/s thanks to the use of multi-lane technology. It uses the same physical connection standards as USB 3.1, which means that devices equipped to this standard will use USB-C connections and you can connect your compliant host devices to your compliant peripherals using USB-C cables. But this system will work on a “best-case” approach where if both the host and peripheral device are USB 3.2 compliant, you will benefit from the higher throughput whereas in other cases, the link will step back to USB 3.1 specifications. Once the standard is set in stone, you may find that some devices such as some computer USB interface chipsets may support in-field software-based upgrading for this standard. On the other hand, a subsequent generation of computer and peripheral equipment will end up being equipped for this standard. The main applications I see this connection come in to its own would be high-capacity external storage applications or high-resolution display setups. 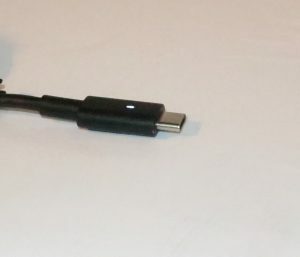 But of course, there will be the USB hubs and docks (expansion modules) that are about increased connectivity being equipped with this connection type. Personally, I would see USB 3.2 become a “next-generation” approach for USB-based peripheral and device connectivity, something to look forward with subsequent generations of computer equipment.